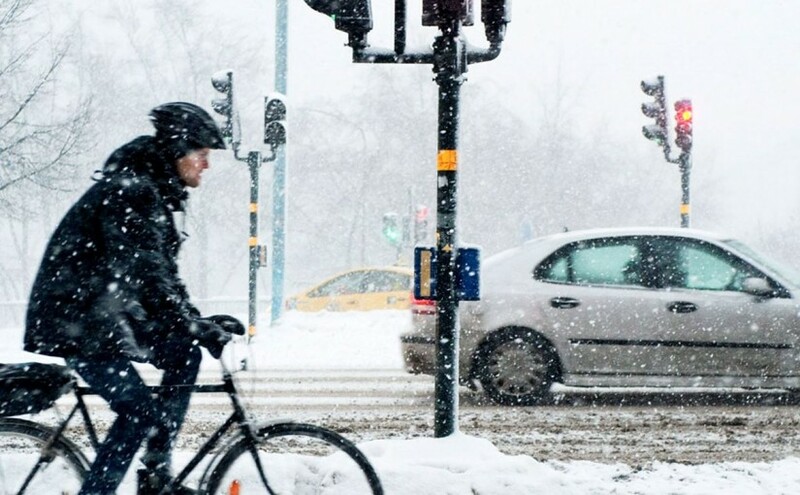 A week ago I was mounting Schwalbe CX Pro tires on my commuting bike a few hours before the first snow falls hit Stockholm. Not sure it really was a wise choice at the time I’ve now been riding them for over 100 kilometers and I’m still in one piece. I took it very easy during the first ride on snow as to get used to the tires and deflated them a bit for a softer steering (it was really bumpy and a bit slippery at 6.5 bars, no kidding!) and better grip after a couple of kilometers. I think I now have a pretty good setup and I’ve not found myself in a delicate situation so far. Those tires sure do a very good job on fresh and packed snow (no difference whatsoever with summer tires on asphalt even when breaking hard) and are pretty stable on an icier surface (but I’m more careful then as one should be riding studded tires or not). All in all a very positive first impression and I’m looking forward to the 30 centimeters of fresh snow promised for tomorrow (according to TheLocal). Please stay tuned for more feedback on those tires later.